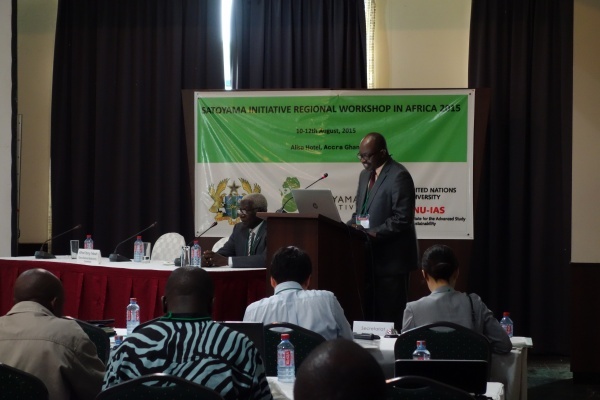 The Satoyama Initiative Regional Workshop in Africa was held from 10 to 12 August 2015 in Accra, Ghana. This was the first Satoyama Initiative Regional Workshop to be held in Africa, following on earlier Regional Workshops in Asia (Kathamandu, Nepal, 2013) and Europe (Florence, Italy, 2014). 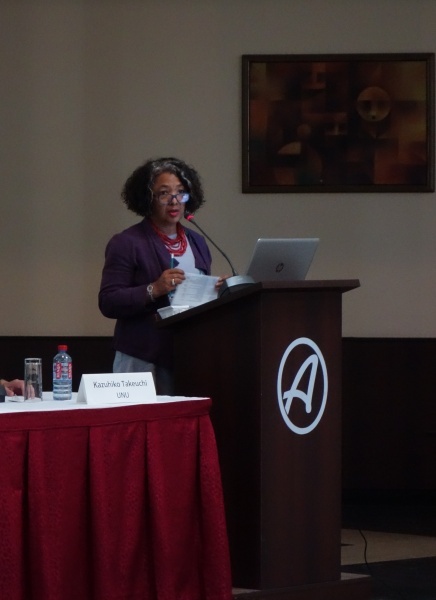 The Workshop brought together around 75 participants from 13 African nations and around the world for in-depth discussions of the issues facing SEPLS particularly in Africa. 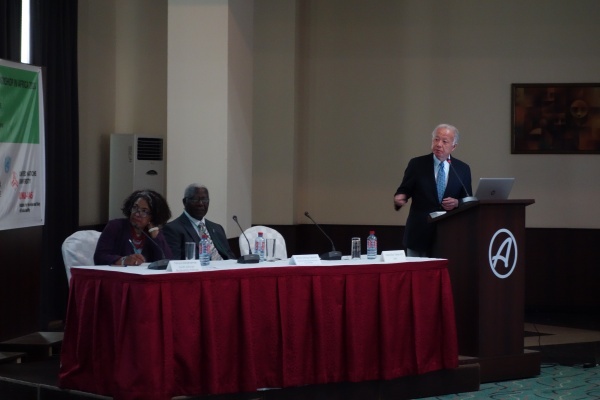 The event was co-organized by the IPSI Secretariat and, from the Government of Ghana, the Ghana National Biodiversity Committee, the Forestry Commission of Ghana, and the Ministry of Environment, Science, Technology and Innovation (MESTI). Local cooperating organizations A Rocha Ghana and Conservation Alliance also provided assistance in its organization. An opening ceremony was held to kick of the Workshop, with guest addresses by the Honourable Dr. Bernice Heloo, MP for the Hohoe Municipality and Deputy Minister for Environment, Science, Technology and Innovation (MESTI) of Ghana, and David Kpelle of the Forestry Commission of Ghana. 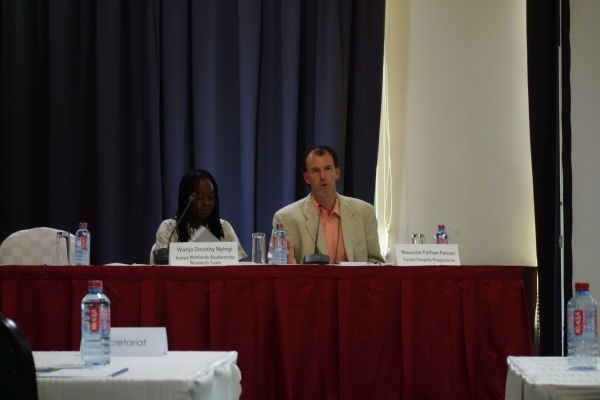 The event was Chaired by Prof. Alfred Oteng-Yeboah, Chair of the Ghana National Biodiversity Committee, with plenary discussions moderated by Dr. Wanja Dorothy Nyingi, Coordinator of the Kenya Wetlands Biodiversity Research Team and Dr. Maurizio Farhan Ferrari, Environmental Governance Coordinator at the Forest Peoples Programme. 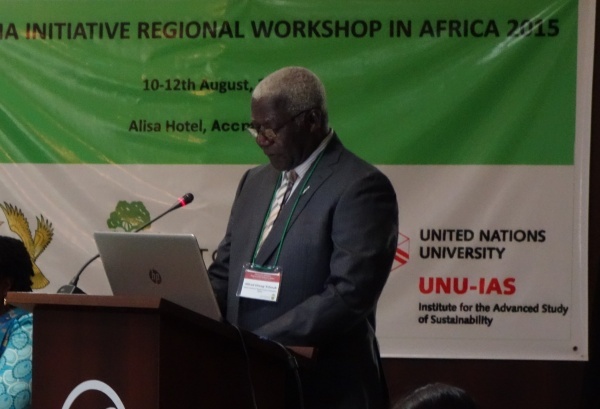 Keynote speeches were provided by Prof. Kazuhiko Takeuchi, Senior Vice-Rector of the United Nations University, Dr. Tanya Abrahamse, CEO of the South African Biodiversity Institute (SAMBI) and Prof. Alfred Oteng-Yeboah, Chair of the Ghana National Biodiversity Committee. Participants were divided into working groups for each of four primary ecosystems, Forest, Drylands, Aquatic and Agricultural, for in-depth discussion. Results from each working group were then brought to the plenary session for synthesis and overall lessons. A great deal of information was shared, and participants went away with a new appreciation of the good work being done in Africa and the importance of the Satoyama Initiative for further activities. The third day of the workshop consisted of an excursion to the Atewa Range in southeastern Ghana, where cooperating organization A Rocha Ghana is working to create a National Park from a natural area that is currently threatened by mining and other human activities. A Rocha Ghana served as host and guide, providing a presentation at their field headquarters in the Atewa area, then showing participants some of the natural beauty of the area as well as mining pits and other production facilities such as a mushroom farm. 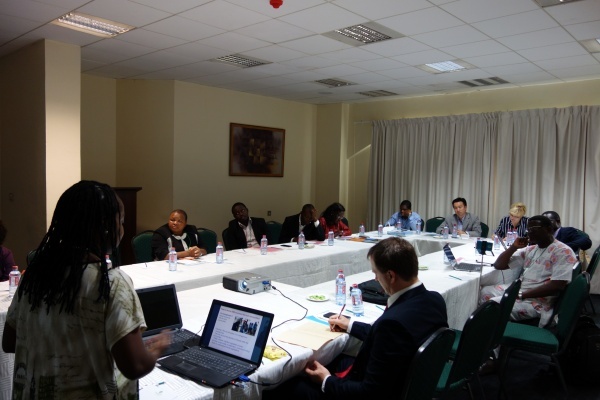 The excursion gave participants a chance to see firsthand some of the issues discussed during the workshop as they are manifested in Ghana. Building on the success of this event, the IPSI Secretariat looks forward to working more intensively at the regional level and organizing further Regional Workshops around the world in the future.